Project Director John Thomas said: "To date the three excavation seasons have produced a wide array of finds that have transformed our understanding of how the hillfort was used, the length of occupation and the contacts that its occupants had with other regions. 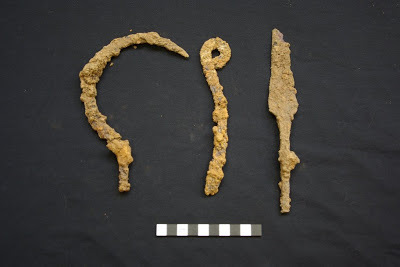 The last excavations focussed on a series of large storage pits that had become filled in with domestic refuse and produced a significant collection of objects including one of the largest groups of Iron Age metalwork from the East Midlands. 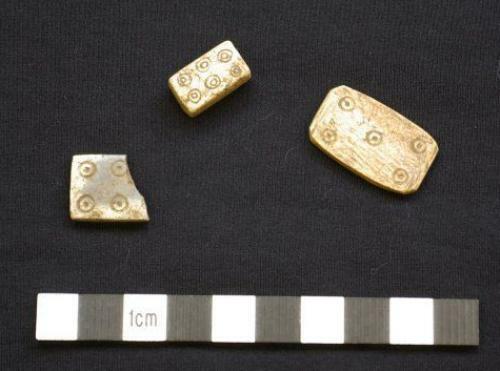 "All of the artefacts provide a remarkable insight into the lives of people who lived at Burrough Hill during the Iron Age. Further finds shed light on their social lives; a bone dice and gaming pieces were discovered alongside a polished bone flute and beautifully decorated blue glass bead from a necklace. 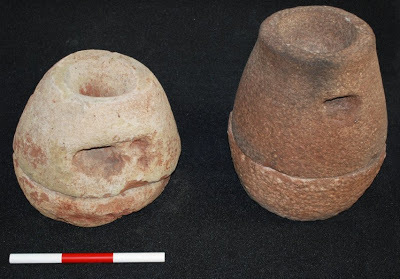 These finds contrast sharply with artefacts found on other contemporary sites such as small farmsteads, suggesting differences in status and access to a wider range of material culture. "The results of the project so far have been very impressive and tell us a lot about the history of Burrough Hill and its changing story over time. 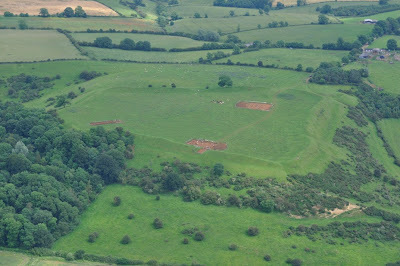 Not only that, but these results will enable comparison with other contemporary settlements and feed into a broader frame of research into the Iron Age occupation of Leicestershire and the East Midlands."